I managed to get a couple of projects finished last night for the Friday Night Sew In. These are both small gifts I have made. So here they are - the Cozy Wine Koozie - which is a Moda Bakeshop design by Becky McGrath and an owl pin cushion which is from the book 'Cotton Floss' by Cinderberry Stitches. Pop over and see what everyone else has been up to for the Friday Night Sew In! 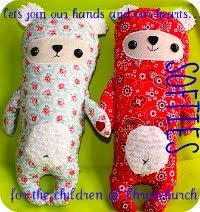 Both are so very cute Jody..
Lovely projects Jody- especially the little owl pincushion. You had a great FNSI. I especially love the little owl pincushion. 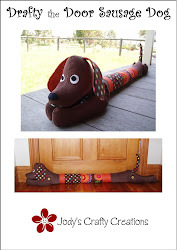 Very cute projects!! Good for you! It's great fun to make gifts, isn't it?! Cute! 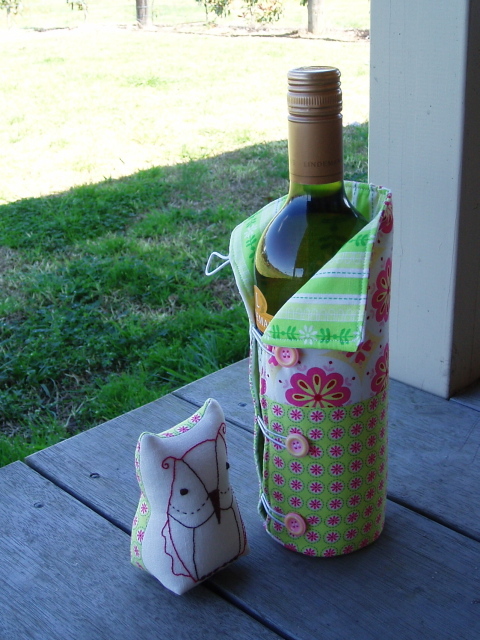 I love the wine koozie, what a darling gift! I know the recipiants of your gifts will enjoy them! They are very pretty, I love you fabric choices. You had great progress on the FNSI! The wine koozie is a great idea and sweet fabrics.